“Oh, boy, this requires a lot of discipline,” I sighed as I made my way out of my room, after less than an hour of working on the first draft of the first adult book that I am trying to write. The words flowed indeed, but there was a slight pressure that was building up in my head. For the past week I had been at my writing table everyday at an appointed time, to work on a first draft for ninety minutes a day. There were two book ideas that I decided to explore. I worked on one, only to find the two projects merging together, so now I have only one book project in mind. It’s too early to tell – but I am sensing that it is worth the trouble and effort. I have neither outline nor audience in mind. This is a process of creation I had decided to undertake for myself. And that’s where the inner critic hits me. I’m writing nonsense. I have no direction. What a waste of time. 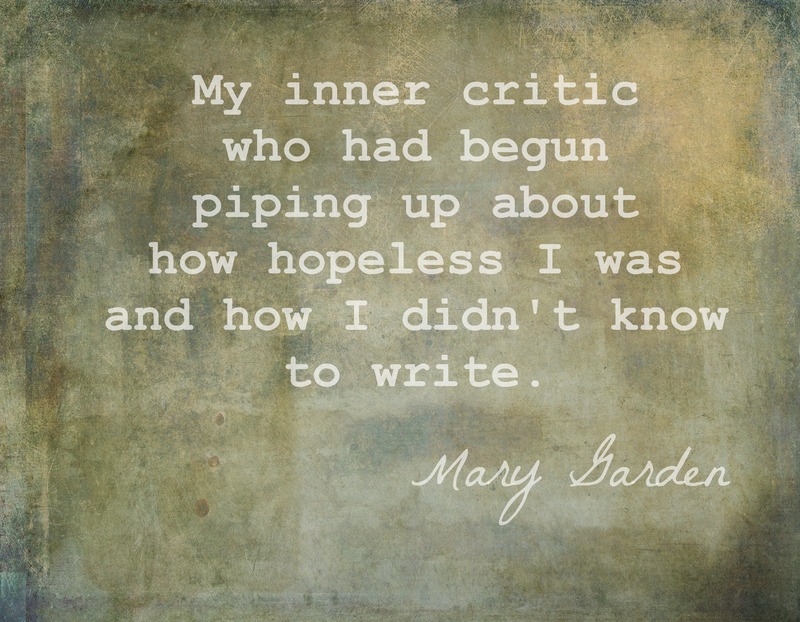 What to do when the critic is at its best, punching blows at you? This time I didn’t surf the web to find advice for this predicament. I decided to have some fun and go on a blog hop. Find out what some readers are up to. So I clicked on the blogs of some commenters. And what a surprise! On A Writer’s Life for Me, Mishka Jenkins, an author who is working on her fifth book, writes about the different ways she approached each of her four novels, as well as how she’s using notelets to help her write her fifth book. I realized that I am writing my first draft exactly the same way she wrote her first book: Mishka writes, “Stolen Bloodline: I didn’t have much of a plan at all, I wrote scenes that I liked and then worked them all together.” It’s good to know that what I am doing worked for a published author. See, dear inner critic? Next, I re-visited Open Jar. Shelah posted a comment a couple of months ago, I think, and she wrote how she was inspired to write a book about one of the girls she met in the course of her work as a speech pathologist. It just felt good to re-read her post about how she and the girl, Sakina, went on a journey together for the purpose of writing Sakina’s life story. How synchronistic! Over at MENOMAMA3′s blog, she writes: “Texture and the pleasure of touch is arguably the most important of human senses. There is a large body of scientific evidence which shows that without consistent loving touch – holding, cuddling, tickling – babies cannot make proper connections with others. Touch develops empathy and trust, reduces stress and builds emotional range.” Now I’m wondering whether introducing the pleasures of texture and touch will soothe the inner critic. How about SWIMMING IN A DIVINE POOL… LITERALLY!…Maybe that will silence the inner critic? Natalia wrote a blog post that I read a few days ago about her experience in Repton Park, where she had a heavenly swim. Such a feel-good post about a heavenly place. The inner critic is resting…or sleeping. It never bothers me when I am writing a blog post. Actually, I can’t recall it ever bothering me through the years I worked as a journalist. Come to think of it, this entity came into my life the moment I pondered upon the idea of writing a book. Now it feels like I’m growing a monster each day that I work on my first draft. Sigh. I’m thinking the next blog post will be about the perils of attempting to write a book. For now, I go on and get my blog fix. Will you head on over with me to Malate, which features fabulous photos of my favorite country? Yes, please, do let me know how the inner critic can be banished forever! Rosanna, Thank you for clicking on my blog for some relaxation or inspiration or whatever you may have felt the desire for. Sometimes browsing other people’s blogs just for the sake of it is as equally fun and interesting as when we’re reading posts on specific topics etc. I hope your disciplined Self brings you all the inspiration you need to write your new book. You breathe words, so you might as well give life to them on a “book canvas” .